We are the Leading Manufacturer, Exporter, Wholesaler and Supplier of Naturopathy Products. 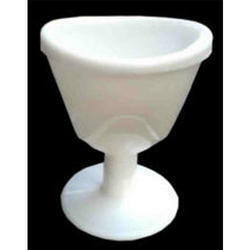 Eye Wash (Eye Bath) Cup Eye wash Cup helps you to clean and cool your eyes. Take the cup close to your eye. You can touch your eyes with water with closed eyes, and then open your eyes inside water and you can move your eyes. You can press the cup softly, so that your eyes get better wash. Then, change water to your other eye. Your eyes get various dust particles due to pollution in everyday life. You may not notice some particles as they can not been seen. Vehicles smoke, dust from earth, industrial pollution make your eyes much strained and you feel irritating too. Your eyes require proper care at least every day a good and soft touch with pure water. This helps to remove the dust particles more efficiently though the eye can remove naturally. You will feel refreshed and cool. 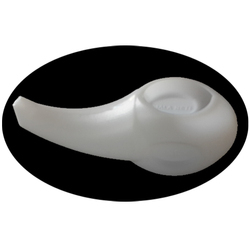 Neti is a cleansing process related to upper part of the respiratory system. It helps for cleaning and opening the nasal passage and to increase the sensitivity of the nasal mucosa. Neti can be practiced either by sitting or standing comfortably. One has to slightly bend forward especially for Jala Neti. Lukewarm water with some salt in order to make it slightly hypertonic is taken in a Jala Neti pot. 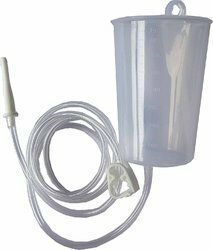 The nozzle of the Neti pot is put in one of the nostrils and the head is gradually tilted to the opposite side till due to gravitational force, water from the Neti pot starts flowing through the upper nostril and comes out through the lower nostril. If the head is slightly tilted forward, no water comes in the mouth. Breathing is continued through the mouth during the practice. The same process is repeated in another nostril. Taking water inside the nose with the help of Neti pot and bringing the water out through the mouth, then taking the water inside the mouth and bringing it out through the nose (as described in Gheranda Samhita) is possible. It requires better control over the muscles related to that area and control over the respiration. After Neti Kriya is over Kapalabhati (forceful expiration) should be performed. It removes the excess of secretions and water from the nasal passages.